If you believe that only accurate guns are interesting, then the S500 must be one of the most interesting guns on the planet! 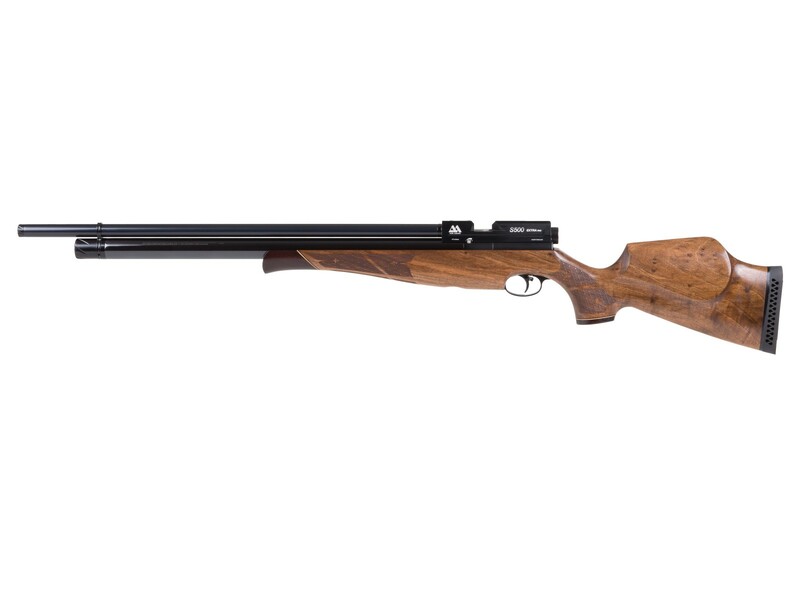 No matter what you've shot before or will shoot in the future, the Air Arms S500 Xtra FAC sidelever will leave an indelible impression! The S500 has many uses...hunting, pest control, plinking & even field target (.177 caliber only). While there are plenty of guns in the same power range as this one, very few have a trigger as wonderful and as adjustable as this one. 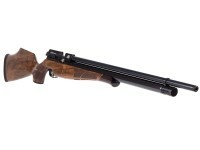 Many people compare the Air Arms triggers to those found on more expensive precharged pneumatic air rifles. If this is the first Air Arms guns you're going to be VERY satisfied. The S500 is bound to exceed your expectations! Things I liked: Came very well packaged. Overall fit and finish is superb and it looks exactly like the online illustration. The blueing reminds me of what Smith&Wesson used in the old days. I have several Wellrauchs and used to think they had the best trigger. Today I think the AA may have an edge. 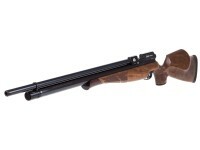 You can load a pellet from either side, with the generous opening, even though the stock is designed for a right handed shooter. The side cocking lever is a joy to use. The owners manual is one of the best I've seen so far What else can I say? What others should know: This rifle is not as quiet as the Marauder I have, but really not bad. Be sure to clean the barrel before use as mentioned in the manual. The accuracy is so good it deserves a decent scope. I'm a nut on cleaning pellets, weighing for consistency, and a light lube for absolutely the best accuracy. Things I liked: I got excellent advice from my friends and Greg at Air Arms. Things I would have changed: I would change nothing. 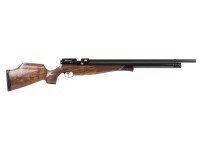 I made an excellent decision to purchase this fine rifle for my purpose of target shooting at our indoor range of 31 yards. There may be a few varmints pursued, also. What others should know: The changing of air pressure on the side of the rifle is very touchy, and there isn't a dial with "hash marks" to help the making of the adjustment needed. Things I liked: It's looks. The accuracy. The trigger. The quality. What others should know: This rifle is awesome. It is everything I hoped it would be. No regrets at all. How many shot per fill with this s500? How quiet is this gun? Whisper level? normal talking level? 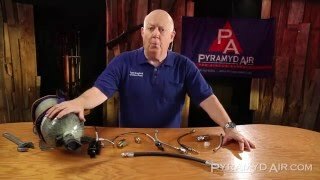 Watch the video of AA S510 to learn about th esound levels. It's the same gun, just multi-shot version. Righthand walnut stock. Like to hunt? Get .22 caliber!